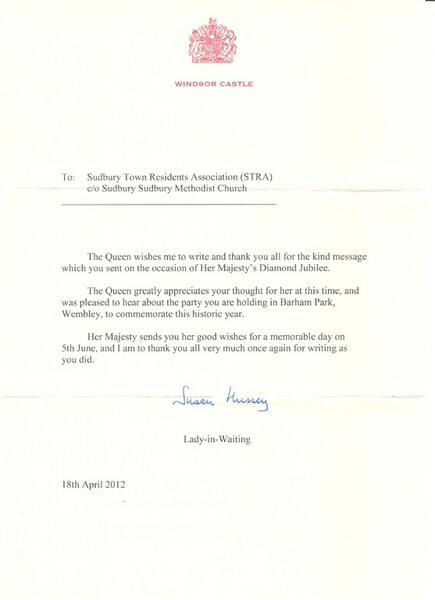 Sudbury Town Residents' Association has written to the Queen to inform here of our celebrations of her Diamond Jubilee. We have now had a reply. 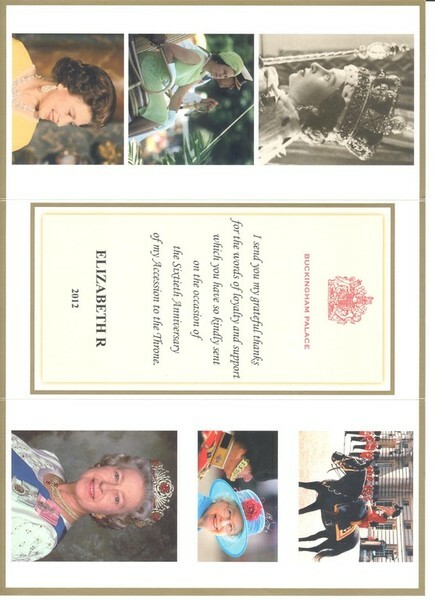 STRA's Letter to the Queen informing here of our celebrations to mark here Diamond Jubilee. Reply to our letter to the Queen. 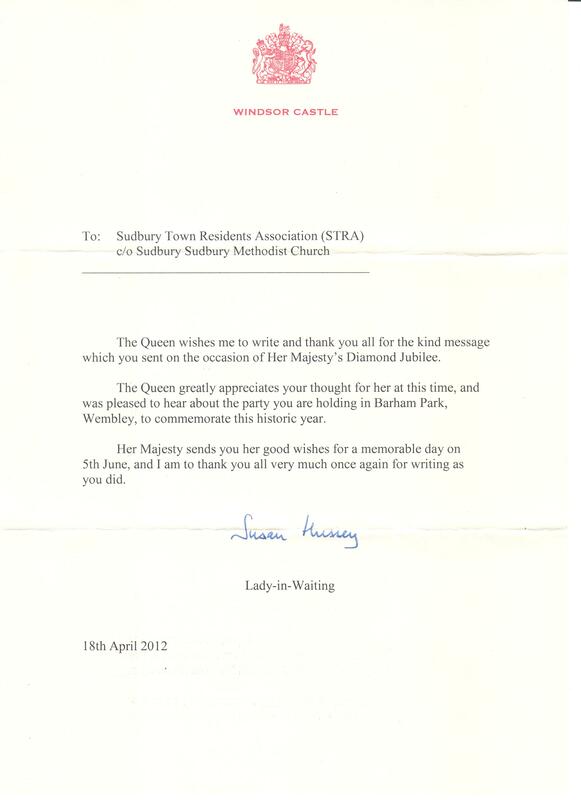 Reply to STRA's letter to the Queen.